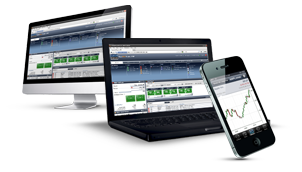 Trade Forex, CFDs, ETFs, Stocks, Futures, FX Forwards and Options all from one account. Trade the global markets in a multi-assets environment. If you are searching to trade stocks, CFDs, Futures, options or bonds online, you have come to the right place. Our trading account enables you to manage your entire portfolio from a single account through BCT Trader, BCTWebTrader or BCTMobileTrader. IMPORTANT: Our service includes products that are traded on margin and carry a high degree of risk to your capital. It is possible to incur losses that exceed your initial investment. You should ensure you fully understand the risks involved and seek independent advice if necessary. How to download a demo? How to set up your platform?